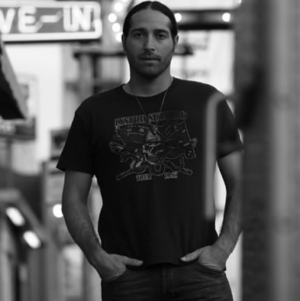 Josh Thompson has a new single. I’m probably biased when it comes to Josh Thompson. I gotta pull for my fellow Wisconsinites. We love our country music up here. I know that Les Paul was from Wisconsin and had a huge role in rock. We also have this weird indy rock scene with Bon Iver, which we love. But country seems to be pretty big time all over. Most areas have multiple country festivals during the summer. Anyway, Josh is one of the few artists with Wisconsin roots. He’s been on the major labels and had some success. Now he’s doing the independent thing. This album is back out. It was shelved and then revived and it looks like he has a single to push up the charts…or at least try. I was kind of surprised by this one. It’s a pretty traditional country song. It has that groove that we kind of remember about Josh. Kind of laid back. Nothing too uptempo and nothing too slow or sad. Just down the middle telling stories about life. This one sees Josh looking back on life a little bit. All the little moments in life where a guy has a beer. Nothing too much. No abuse. Just enjoying a beer once in awhile. It’s about a guy looking at his dad and how his dad lived. The beer was there, but it was mostly about watching a good man while learning how to become a good man yourself. I hope there is a future in mainstream country for Josh. He’s got a unique style and some really good songs.